Delays in South Korean visa procedures have forced many Vietnamese travel companies to cancel tours to the country. This time of the year often sees a high demand for tours to South Korea as Vietnam has several national holidays. Tours to South Korea during the period, bolstered by the country’s peach blossom season, increase by 20-30% compared to normal. However, the sudden surge in demand for South Korean visas has overloaded the country’s consular sections, affecting tour providers. A representative from a travel firm said that previously, it took the South Korean Embassy in Hanoi around eight days to issue visas, but now it is 14 days or even longer. This has meant lots of travel operators have failed to ensure visas in time for their customers. 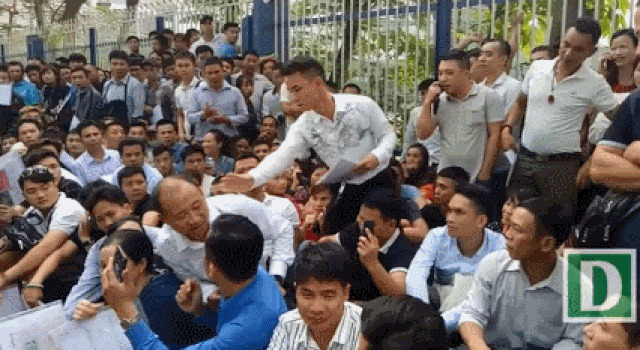 In recent days, thousands of people have been queuing up as early as 3 a.m. at the embassy to get their visas after Do-hyon, South Korean ambassador to Vietnam, announced last year that the C-3 visas would be granted to permanent residents of Hanoi, Danang and HCM City. The visa holders can stay in South Korea for up to 30 days, with no restrictions on the number of visits for five years. Since late March this year, many Vietnamese travel businesses have postponed or cancelled tours to South Korea for customers who lack a visa. In this case, companies have to compensate affected visitors. According to Nguyen Van Hung from a travel firm in Hanoi, his company had to abolish a tour for 10 people scheduled for early this month. Apart from compensation for travellers, the company financially lost out on air tickets, restaurant and hotel bookings. The tour cancellation would mean losses of billions of VND for travel companies and this will also damage their prestige. They hope that the South Korean Embassy in Vietnam can speed up procedures.